The hospitality industry hinges on its ability to satisfy tourists in a truly unique way. Consumers are looking for an ‘experience’ when they take a vacation. They value vendors who employ locals with working knowledge of the area they are situated in, as it helps to create an authentic experience for tourists. Therefore, the need for hospitality training is immense and critical to the tourism industry. This is precisely why Range Developments facilitates and supports hospitality training for the locals in St Kitts and Nevis in the Caribbean. The focus is on ensuring students benefit from being trained in Park Hyatt, one of our main luxury developments, and have a great future ahead of them in the hospitality sector. The training itself is second to none – and offers students from the Clarence Fitzroy Bryant College the opportunity to gain both an education as well as world-class training in hospitality at the same time. The key thing to note is that the hospitality industry is diverse, allowing for many career paths. Each career path depends on two main tiers – education and world-class training. 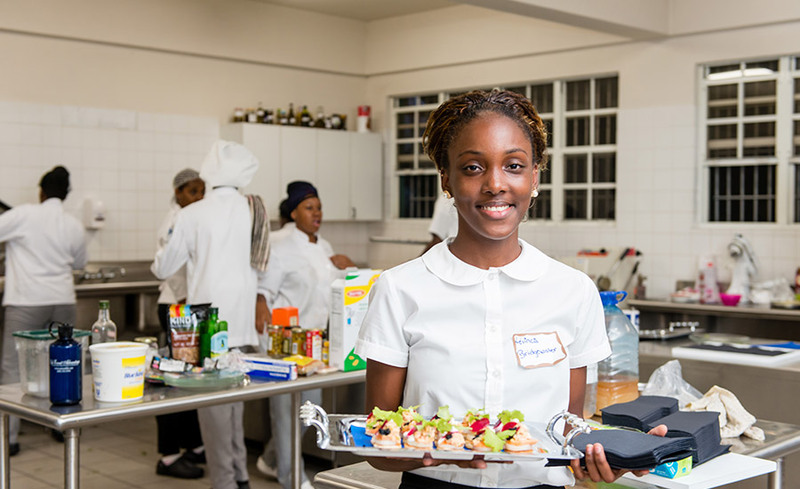 Through the hospitality training program, our students receive the best of both worlds. Once they successfully complete the training program, they may enter any field in the hospitality sector they wish. This power of choice is what’s unique about the training initiative, and we’re proud to be able to back this program as part of our corporate social responsibility. Long term, this means more young people are being educated and are in work, and this helps contribute to the social and economic infrastructure of the Country.